January 2015 – Dancin' and Cookin' in the Kitchen! New Year, New You… or Me? Ok… so it’s been a while. Gotta be honest, we’ve had a LOT going on in our home! I am still cooking, almost every night. I just can’t always find the time to write down every ingredient amount and the recipe while I cook, and then take pictures. Horrible, right?! I’m a food blogger! I LOVE to cook! Sometimes when I just feel down… I just want to cook. I go to my mom’s house, I want to cook… I go visit my sister, I want to cook… it’s bad! HA! Any way… my family went to Disney for a week… with a meal plan… and then came Christmas and New Years. Let’s just say I gained a bit of weight. Yeah. So… back to the normal… home cooked, healthy meals for me! I’ve been up at my sister’s house and reading a lot of Dietitian Cassie and getting some GREAT ideas! I can’t cut out all carbs/bread… but I like how she talks about food!!!! 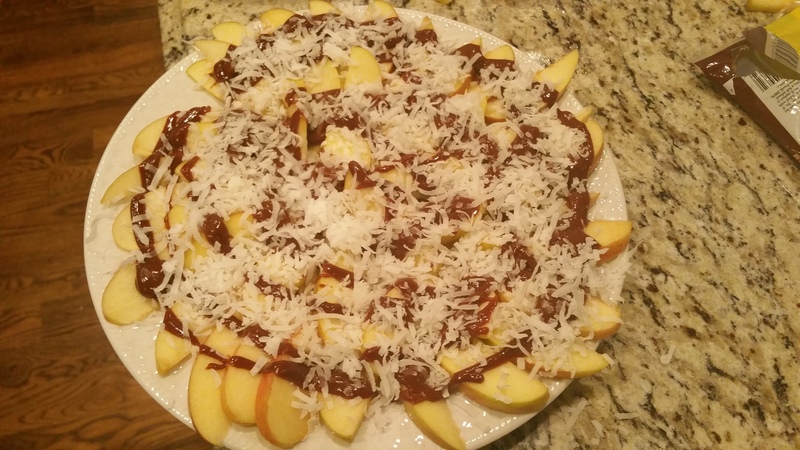 and then we decided we needed a night time snack…so we checked out Dietitian Cassie’s suggestions under pinterest and found something DELICIOUS! I had to change a few things because she recommended Almond Butter and due to a food allergy in my home, we only had sunflower seed butter… but man… what an awesome nighttime snack! 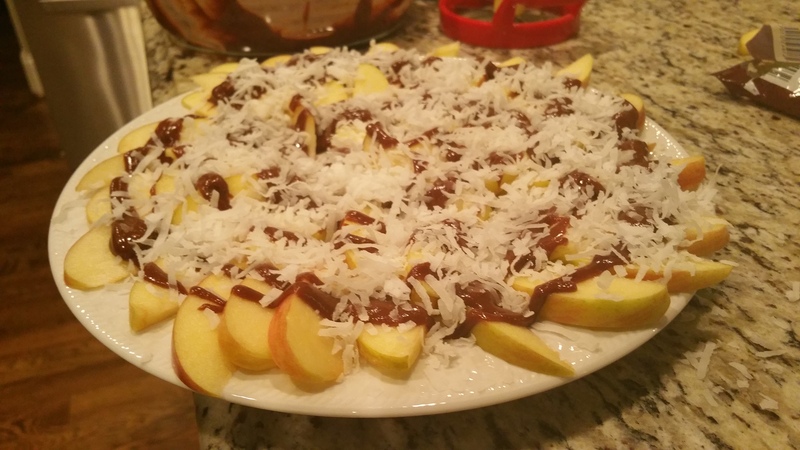 This is called Apple Nachos. Now, I didn’t follow the original recipe completely… so this is my adapted version.